Even if it’s About Kim!!! 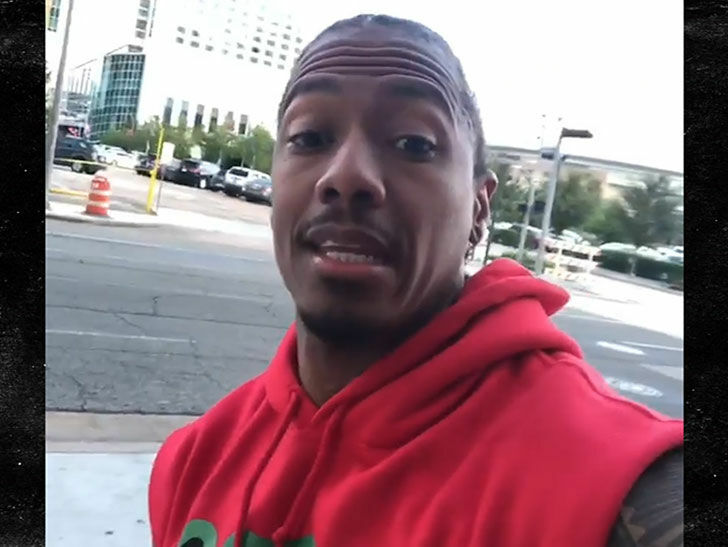 Nick Cannon just fired back at Kanye West, who warned him to keep Kim Kardashian‘s name out of his mouth — and his message to Ye is simple … chill, bro. The ‘Wild ‘n Out’ host says he’s got love and respect for Kanye, but also thinks the dude must be trippin’ to think he can control what Nick says. He feels strongly he’s never disrespected Kanye and Kim’s marriage, but adds … if he’s asked a question about Kim he’ll answer it honestly. As we reported … Kanye took shots at Nick, Drake and Tyson Beckford for talking about Kim — sexually or otherwise. He called Nick out for discussing Kim’s body in a recent interview with VladTV … and accused Drake of fueling the rumor he slept with Kim. Still no retort from Drizzy or Tyson, but Nick’s making it clear he won’t be silenced.